It’s time to plan the European Incubation Tour again, where you may pick and mix your own program from the unique 1-month regional accelerator program “RAPID-Health”, initiated by Taiwan Globalization Network-TGN, executed by Tiger Accelerator Utrecht, powered by Economic Board Utrecht (EBU). 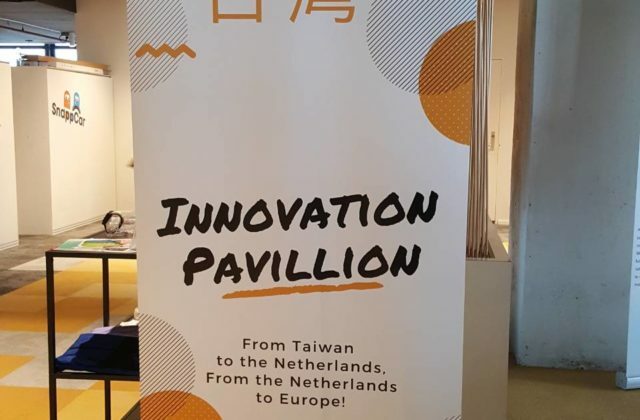 This unique 1-month regional accelerator program “RAPID-Health” will be officially announced by TGN, Tiger Accelerator and Economic Board Utrecht (EBU) during Taiwan-Netherlands Smart Health Forum organized on 28 March 2019, in Taipei. Please stay tuned on https://rapid-health.eu/! -you meet the European incubation managers, investors & startup/scale-ups at EBN Congress 2019. 23-27 September: -RAPID-Health -1-week boot camp program for potential startups/scaleups to accept and provide solutions to the societal challenges in Utrecht Region. 1 October: Taiwan Business Day 2019 will take place in Utrecht, The Netherlands, where the 1-month “RAPID-Health” Bootcamp will be hosted. 2-3 October: StartupFest Health 2019 is organized on the theme: Ready to scale-up!, where you have a chance to pitch, matchmake and scale up! Download the flyer SUFH19 pitch! 16th-18th October: EBN Congress 2019 will take place on 16th-18th October (tbc) in Rome (Italy) hosted by Lazio Innova. In 2019, EBN will be celebrating its 35th Anniversary. 35 years supporting innovation and incubation in Europe and globally generating economic growth and social development. We will formally celebrate our 35 years in Rome! Be part of the eighth European Incubation Tour! In order to communicate with our group, please join TGN Facebook to see the updates. Partners: Taipei Co-Space, Chinese Business Incubation Association (CBIA), Taiwan Business Angels Club (TBAC), Taiwan Venture Capital Association (TVCA), etc. Please kindly let us know if you would like to be the speaker or if you have any questions. Look forward to meeting you in Europe soon!